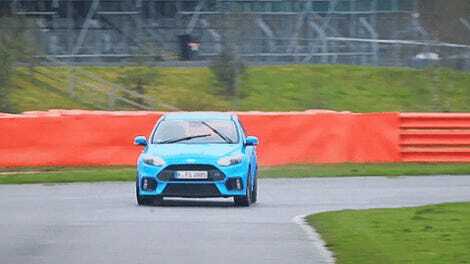 The 2016 Ford Focus RS has a “Drift Mode” feature that sends more power to the back wheels and softens the dampers so you can more easily catch the slide. The results, however, are not guaranteed, as you can see in this video. 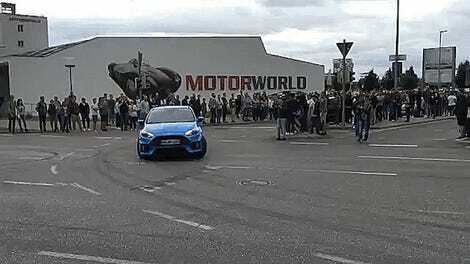 According to the video’s description, a recent New York ST Owners Club cruise went sideways (pun very much intended) when this Focus RS driver apparently overestimated the car’s abilities, or his own, or both. The car slid into a cliff wall before bouncing off like a tennis ball and landing halfway in a ditch. PLEASE NOTE - NYST (The NY ST Club) does not condone or approve of this reckless behavior on public roadways. The offending person was immediately booted from our club. We practice safety on the road during our cruises, and actions such as this will be dealt with with ZERO TOLERANCE. Take it to the track, if you want to drive like this. When I go to sleep at night, I often pray that this technology never finds its way to the Mustang.